I came across this article...NPK Soil Test Kits – Soil Forum and could not believe the dialogue on the forum. offered at Midwest Laboratories offers the following analysis: Nitrate Nitrogen, Organic Matter, Available Phosphorus, Potassium, Magnesium, Calcium and Hydrogen, Sodium, pH, Buffer Index, Cation Exchange Capacity, Percent Base Saturation of Cation Elements, Soluble Salts and Excess Lime. Cost $25.00 with recommendations based on information regarding your garden produce: corn, beans, strawberries, oranges, etc. or lawn and any issues affecting your soil. A soil test from a reputable laboratory and accompanying extension agent are the best places to start when looking at having your soil tested. Laboratories use proven methods and technology to give you an accurate picture of your soil through values and recommendations… In addition, lab personnel and extension personnel can help you with respect to giving you the proper information for taking your sample. Information, like using clean tools and collecting samples 4 to 6 inches deep or 6 to 12 if you are tilling your sample, is two examples of good information to remember. On a lot of Garden Forums like this one, you are not supposed to advertise your services, even though people choose to ignore those rules. I want to point out that people need to know that they have options and good options at that. Growers should be seeking out extension services and respective analytical laboratories to work with. In the Omaha, Nebraska area, I meet with Extension people to promote their garden and horticulture programs. The local extension people, in turn, recommend our services to the people they talk to. 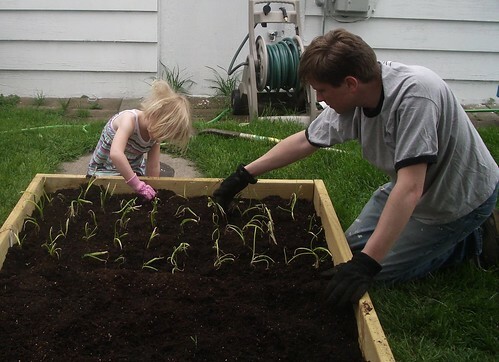 Community gardens are popping up in this community and others across the country. These organizations are also getting involved with laboratories with respect to their soil testing needs. All of us need to work together to help each other provide soil testing services that can benefit each other and ultimately improve our processes to help us become more efficient with our resources. The next time you encounter a Garden Forum like the one mentioned at the beginning of this article, I challenge you to talk to your local laboratory and extension agent and see if you can find an affordable solution to testing your soil.